(UG/NIA) (Norfolk Island) 1973 - 1992. Photos. Framable Color Prints and Posters. Digital Sharp Images. Aviation Gifts. Slide Shows. 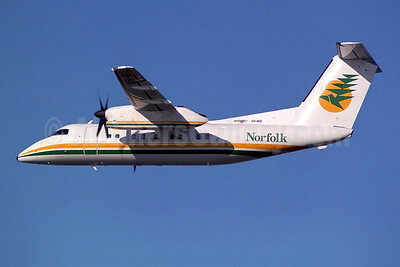 Norfolk Island Airlines (1st) de Havilland Canada DHC-8-103 Dash 8 VH-NID (msn 170) SYD (Rob Finlayson). Image: 941077.